Choose the plan deductible - $ 1000, $2500 or $5000 -which best meets your needs and budget.
" 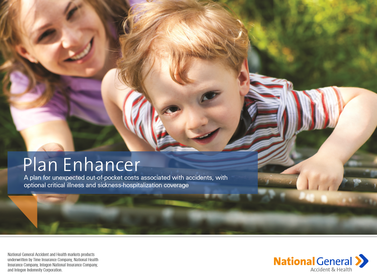 Plus - Plan Enhancer " reduces Out of Pocket costs. 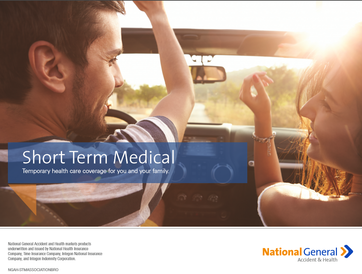 Example - Choose a Short Term Medical with $ 2500 deductible. Then add The Plus - Plan Enhancer with $ 2500 benefit. If a covered accident - Plus pays up to $ 2500 towards the deductible ( after $ 250 ), $2500 towards hospitalization for sickness or $2500 lump sum for diagnosis of cancer or heart attack. Short Term Medical plans stand outside the new requirements of the ACA. You must answer health questions and coverage may be declined. Guaranteed option available. Pre-existing conditions - any treatments, diagnosis, consultations - within the last 12 months may not covered. Preventative care, Rx coverage, maternity, mental health and other medical treatments may not be covered. As your agent, I am committed to providing you accurate and complete information to make an informed decision. Your health, well being and access to medical care is a top priority. Remember - insurance is protection from the unexpected costs of medical expenses. Working together we can determine if this is the right solution for you. Thank You.